WE ARE AURORA STRONG: On Friday, February 15, 2019, the Aurora community experienced a horrific tragedy with the shooting at the Henry Pratt company. The City of Aurora, APD, AFD and other public safety officials are helping to raise funds for the families of those who sadly lost their lives: Russell Beyer, Vicente Juarez, Clayton Parks, Josh Pinkard and Trevor Wehner. 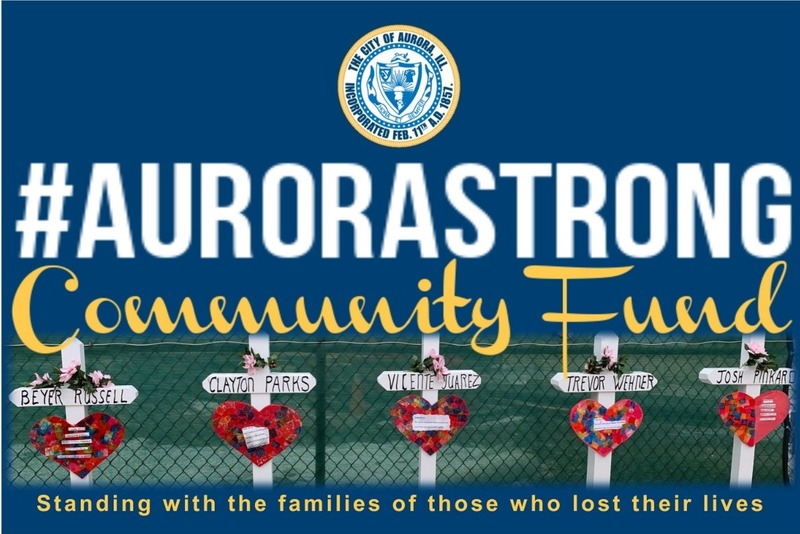 The #AuroraStrong Community Fund is officially administered by the City to relieve the extreme financial burdens families are experiencing during this difficult time. Thank you for donating and sharing.